Sarfaraz is handed over a four-match suspension by the International Cricket Council (ICC) following his racial remarks against South African pacer Andile Phehlukwayo during their second ODI in Durban. Former Pakistan pacer Wasim Akram has backed wicket-keeper batsman Sarfaraz Ahmed to be at the helm of the team till the World Cup. Akram said that with very less time to go for the World Cup, there is no better alternative available to replace Sarfaraz. “We no longer have the time to change the captain. Sarfraz is a passionate captain and also there is no alternative choice available,” The Express Tribune quoted Akram, as saying. Following the ban, Sarfaraz was called back to Pakistan by the Pakistan Cricket Board (PCB). 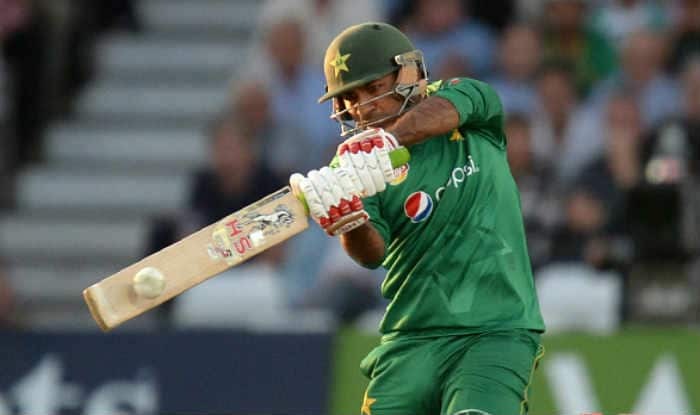 Akram said that decision to call Sarfaraz back is not a good one adding that the right-hand batsman has admitted his mistake and that he “won’t repeat such a thing in future”. “Sarfaraz made a mistake but he admitted it and hopefully won’t repeat such a thing in the future. Calling him back from the tour is not a good decision,” Akram said. In Sarfaraz’s absence, PCB has named Shoaib Malik as the stand-in skipper. On this, Akram said that Malik has proved his leadership abilities in past but Pakistan should focus on the long-term policy as the right-hand batsman has already announced that he would retire after the 2019 World Cup. “We should focus on long-term policy making rather than short-term. Malik captained the side well in the fourth ODI but he has already said that he will retire from ODI cricket after World Cup 2019,” he said.